Blackburn Sports Club are holding a men’s doubles badminton tournament on the 15th and 16th of October 2011. The tournament will be held at Audley Sports Centre on Chester St in Blackburn. The tournament is sure to offer tough competition for all entrants thanks to the fantastic prize money on offer! 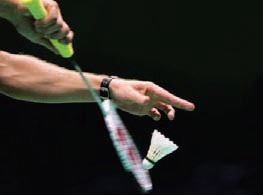 Maurice Robinson Sports will be at the tournament offering badminton racket restringing and badminton equipment. Entries cost £30 per pair and close on the 15th September, so get your entry forms in soon!